Tag Archives for " ronco "
Have you ever wanted to make your own dried fruits and vegetables at your home without buying it from a store? Do you want to make jerky, rollups, and potpourri all while knowing that you're using fresh ingredients and hygienic conditions? If yes, then you need to check out a dehydrator that can help you achieve just that with very little effort. 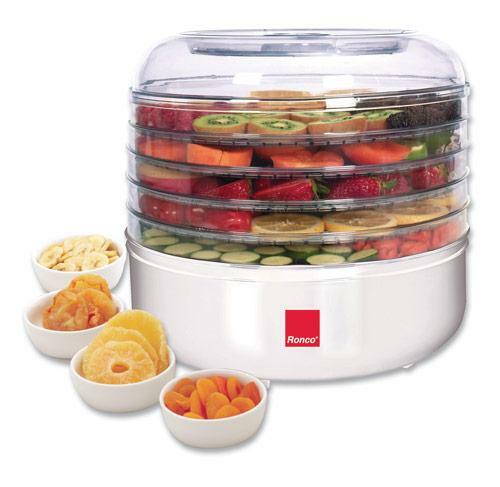 The Ronco EZ-Store Turbo 5 Tray Food Dehydrator is a useful device that will look good in any modern kitchen. 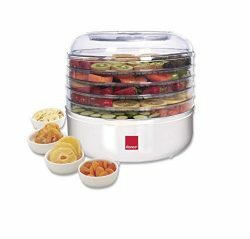 This dehydrator is the ideal kitchen appliance for drying out all kinds of fruits and vegetables for later consumption.